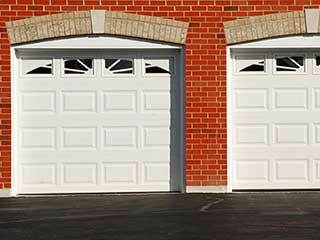 Doors that seal and protect residential garages come in all sorts of shapes and sizes. One of the most common types, however, is the overhead door, which, as its name suggests, moves up and down in a signature way. This type of automatic garage door can be incredibly convenient to use and very effective at protecting and insulating that part of your house. However, a broken spring or something that goes wrong with the electric opener can have you find yourself in quite a pickle. 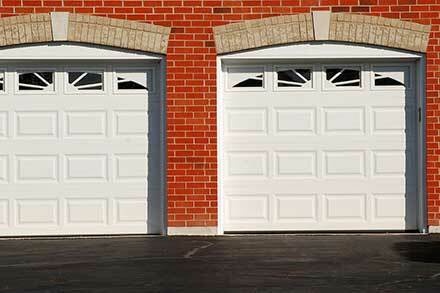 Overhead garage door repair is not a trivial task that DIY enthusiasts should dabble in. That’s what professional service technicians are here for. You can end up finding your overhead garage door needing repair due to various malfunctions, not the least of which involving hardware parts or electrical components. Your torsion springs can end up breaking, which means the door will no longer have “muscles” to pull it up and lower it down easily. That’s not to suggest a door with broken springs can’t be opened, it’s only to suggest that you should avoid trying to do so if possible, and instead have a professional perform the overhead garage door repairs you require. Broken springs make your door extremely dangerous, and repairing or replacing them requires professional skill if you want to ensure it’s done safely and quickly. Your overhead door springs can also lose their tension, and you’ll find the door unbalanced. Tension adjustment is liable to see the springs break accidentally, which makes this a job for us – Garage Door Repair San Ramon. Your automatic door needs this device in order to open and close remotely. The drive system it uses and the electrical components that make up the control circuit board can all sustain some type of damage or experience some issues. If you find your door not opening or only willing to move in a limited way, the problem may not necessarily be mechanical in nature. The safety sensors can be misaligned, leading the overhead door to open back up instead of closing, for example. You can also experience issues with your overhead door remote, and may need to have it repaired or replaced. Whatever you require, contact us and have a professional from Garage Door Repair San Ramon provide the service you need any day of the week.